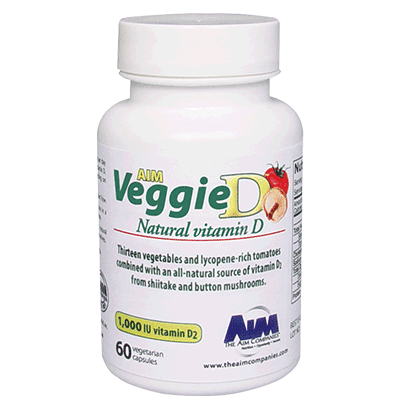 AIM Veggie-D™ features an all-natural, vegetable source of vitamin D2 from shiitake and button mushrooms. This whole-food delivery of vitamin D combines lycopene-rich tomatoes and thirteen other vegetables for a savory whole food. The benefits of a unique, whole-food, vegan-sourced vitamin D2 greatly outweigh a common vitamin D3 that is derived from sheep’s wool.